The exclusive pearl white edition is specially engineered to let you focus on things that matter — music, videos or games. Feast your senses on the full 100W of audio power, coupled with the high-power adaptor at your fingertips. 1 ohm headphone amp impedance output from the Sound Blaster X7 Limited Edition accommodates both extreme ends of headphones in the market - from the most demanding high-impedance studio headphones to the most sensitive low-impedance in-ear monitors — with minimal distortion to audio content caused by variance in frequency response. Now, the Sound Blaster X7 Limited Edition is ready to impress you with big performance beyond its size. What can you do with the extra audio amplification power? If music is your passion, you would supersize your speakers for an even wider sound stage effect. Looking for that extra boost for your acoustics? The Sound Blaster X7 Limited Edition's powered amplifier will add an extra dimension to your experience that will fill up your room. It has a highly-powered and efficient Class-D digital amplifier TPA3116D2 that delivers up to 100W of power (2 x 50W @ 4 ohm*), allowing you to connect to passive bookshelf or tower speakers. The Sound Blaster X7 Limited Edition features an impedance switch between 4 ohm and 8 ohm to match your speakers in order to deliver the best audio performance. * High-power adaptor (24V 6A) included. 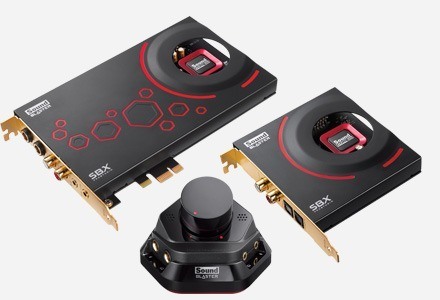 We are delighted that the Sound Blaster X7 has been named as the Honouree for two distinguished 2015 CES Innovations Awards namely the ‘Home Audio/Video Components and Accessories' category and ‘Computer Hardware and Components' category. 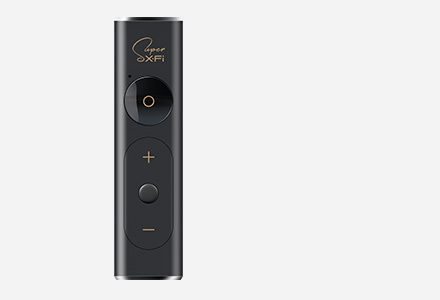 Just as HDTV revolutionised your viewing experience - from details like the specks of colours in your favourite actor's eyes, or the fibre of a piece of fabric, High-Resolution Audio lets you enjoy a quality audio experience that brings the sound signatures to life through clarity and nuances in games, movies or music. The Sound Blaster X7 Limited Edition provides a smooth digital audio superhighway that emphasises audio fidelity starting from the original uncompressed audio file on your PC/Mac; through a high-speed USB 2.0 digital audio path, to a high-resolution 24-bit 192kHz 127dB DAC, immediately coupled with a powerful 100W built-in amplifier. Finally, the journey ends with your favourite passive speakers that bring you an unadulterated, and top-quality audio experience. The Sound Blaster X7 Limited Edition features a Burr-Brown PCM1794 127dB digital-to-analog converter (DAC), which supports high-resolution audio playback of up to 24-bit 192kHz when connected to PC/Mac, including 24-bit 88.2kHz and 24-bit 176.4kHz. 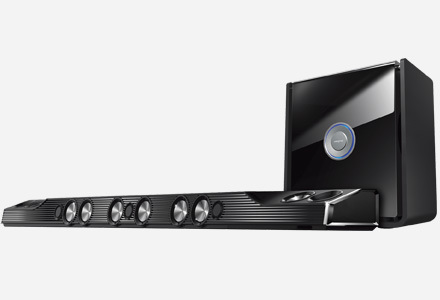 Coupled with a built-in Dolby Digital decoder, the Sound Blaster X7 Limited Edition lets you experience cinematic true-to-life 5.1 channel playback. For a high-quality headphone listening experience, a top-of-the-range Texas Instruments TPA6120A2 headphone amplifier chip is used. Capable of driving high-end 600 ohm headphones, the Sound Blaster X7 Limited Edition — together with its 127dB 24-bit 192kHz DAC — delivers powerful and pristine audio. Connect your iOS or Android device with a USB cable via the USB Host port, which allows the Sound Blaster X7 Limited Edition to process the digital audio signal without any degradation in quality and fidelity. The Sound Blaster X7 Limited Edition features the SB-Axx1 Multi-Core Floating Point Digital Signal Processor (DSP), which is capable of voice processing, audio restoration, proprietary effects processing and is also a certified Dolby Digital 5.1 decoder. 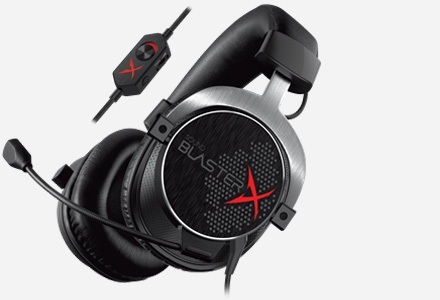 On top of that, a proprietary audio chip helps the Sound Blaster X7 Limited Edition to achieve audiophile-grade audio playback from stereo with 5.1 configurations up to 24-bit 192kHz. The Sound Blaster X7 Limited Edition supports Dolby Digital, an audio compression found in most DVDs and high-quality formats worldwide. It enables delivery of 5.1 discrete channels at low data rates. 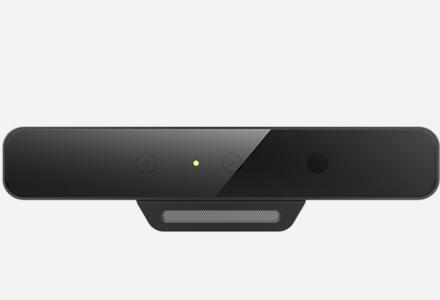 Now, you can enjoy VOIP or conference calls that display stunning vocal clarity. 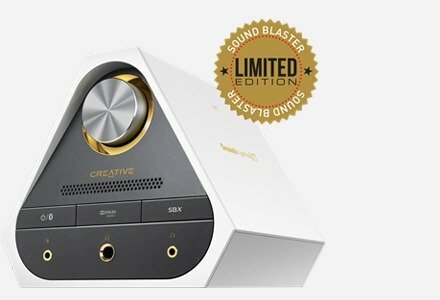 The Sound Blaster X7 Limited Edition continues to impress with its two built-in beamforming microphones that support pristine audio recordings and even voice calls when connected to PCs, Macs, smartphones and tablets. CrystalVoice ensures that you would be heard in video conferences, multi-player games and online chats at all times. 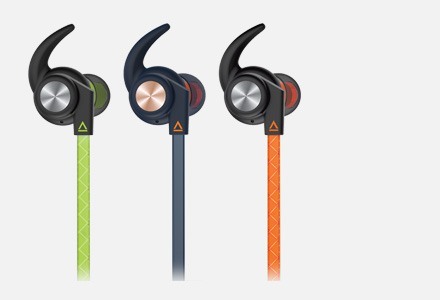 With dual headphone outputs, you can share your favourite tunes with your loved ones simultaneously! Your audio experience cannot get any better than this. Featuring Bluetooth with aptX® Low Latency and AAC codec support, the Sound Blaster X7 Limited Edition offers a highly integrated solution for quality and performance that lets you stream your audio wirelessly, while maintaining the fidelity of your favourite tracks. Introducing the Sound Blaster X7 Control App and the Sound Blaster X7 Control software, they make perfect pairings with the Sound Blaster X7 Limited Edition. Functioning as your personal sound controllers, they work with desktops, notebooks, tablets or any smart devices.